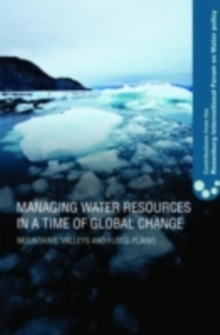 There is not enough water globally for all the things humans need and want water to do for us. Water supply bubbles are bursting in China, the Middle East and India with potentially serious implications for the global economy and for political stability. Even the United States is depleting groundwater on average 25% faster than it is being replenished. Our thirst for water grows with our population, but the amount of fresh water available on Earth is fixed. 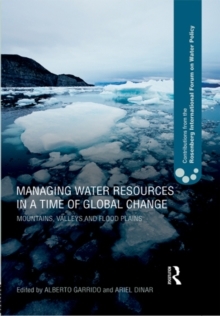 If we assume "business as usual" by 2050 about 40% of the projected global population of 9.4 billion is expected to be facing water stress or scarcity. With increasing climate variability being predicted by global climate models, we are likely also to have more people without adequate water more of the time, even in water-rich regions. Irrigation productivity rose dramatically over the past 40 years as a result of the Green Revolution. However, even if we disregard the environmental impacts caused by that revolution, we are no nearer to achieving global food security than we were 40 years ago, as every time we come close to filling the food production gap population growth and ecosystem decline associated with water diversions to human purposes set us back. Our natural and agricultural ecosystems are trying to tell us something. 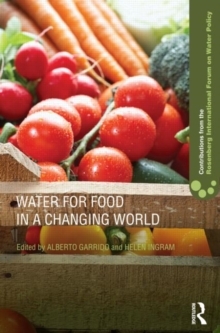 This book pursues these overarching themes connecting to water and food production at global and regional scales. 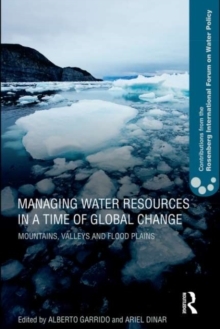 The collection offers a comprehensive discussion of all relevant issues, and offers a wide-ranging discussion with the aim of contributing to the global debate about water and food crises.